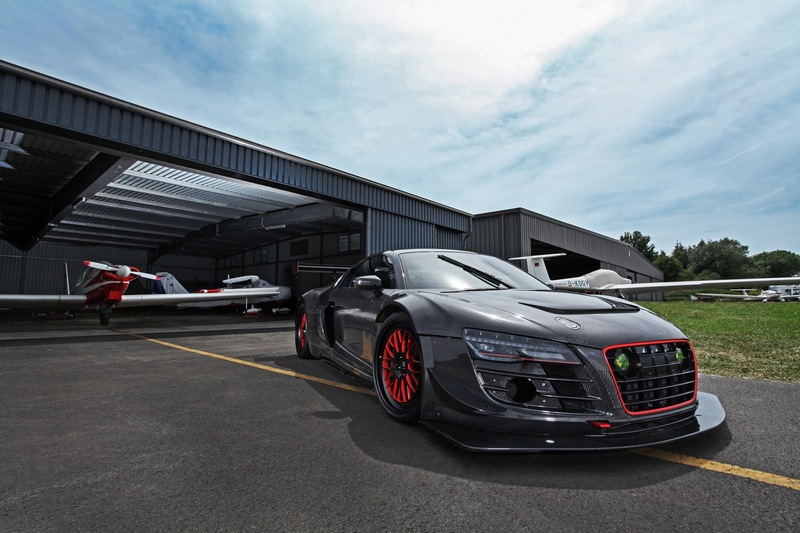 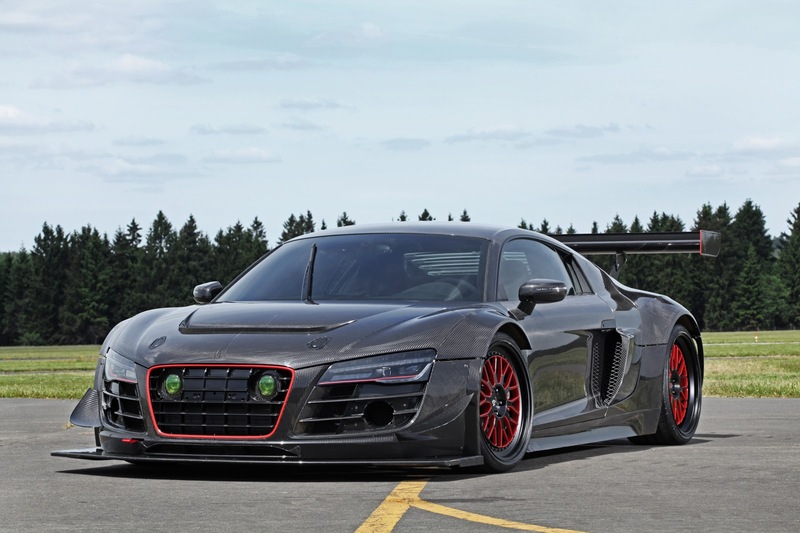 There are mods and there are tuning jobs for Audi‘s R8; and then there’s this tuning overhaul from Potter & Rich. 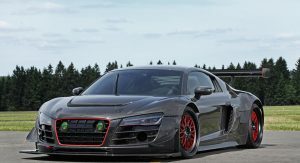 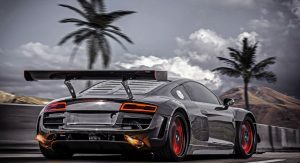 The German company went full out on their tuning proposal for the limited production, first-gen Audi R8 V10 Plus named the “RECON MC8”. 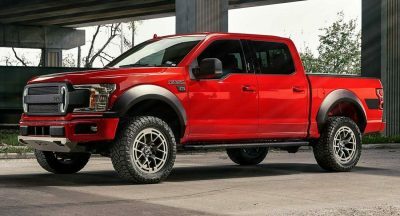 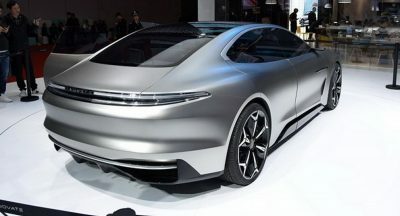 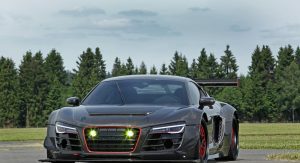 Beginning with the powertrain, not only did they chip, supercharge and change a ton of components to boost the 5.2-liter V10 lump from 550PS (542hp) and 540Nm (398 lb-ft) to a monstrous 950PS (937hp) and 900Nm (664 lb-ft), but they also discarded the stock quattro all-wheel drive system turning the R8 V10 Plus into a wild rear-wheel drive supercar! 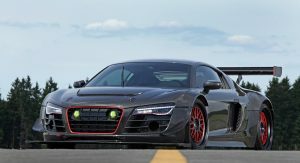 The standard 7-speed dual clutch S-tronic transmission now sends the V10’s power to the rear wheels via a new Limited Slip Differential (LSD) from Drexler Motorsport. 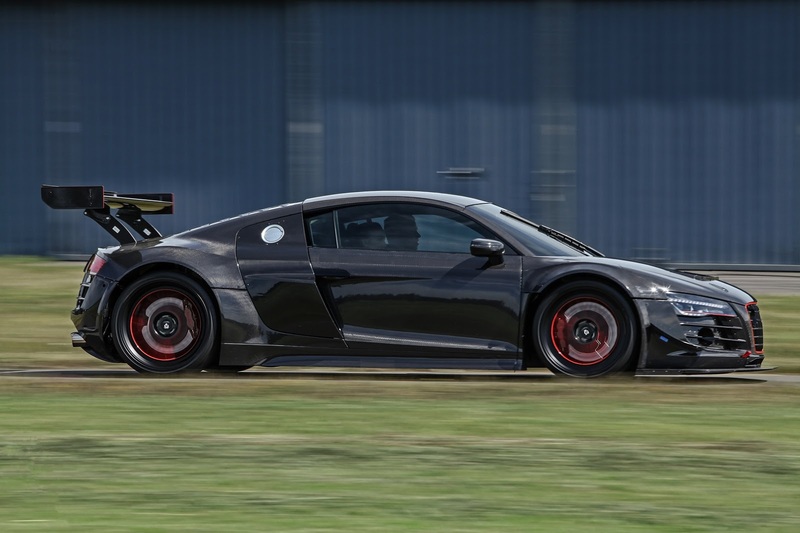 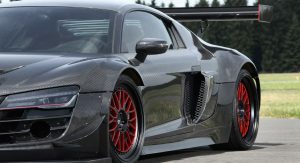 Other mechanical upgrades include a Brembo motorsports braking system from the racing R8 LMS Ultra, a special KW suspension paired with hydraulic air system (KW HLS), and an adjustable Capristo sports exhaust system. 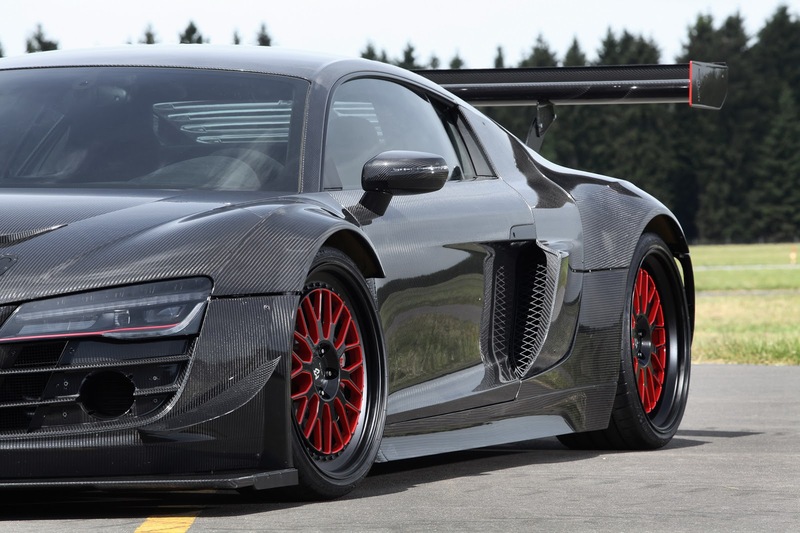 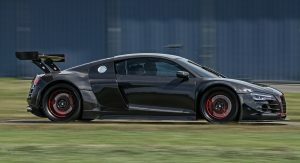 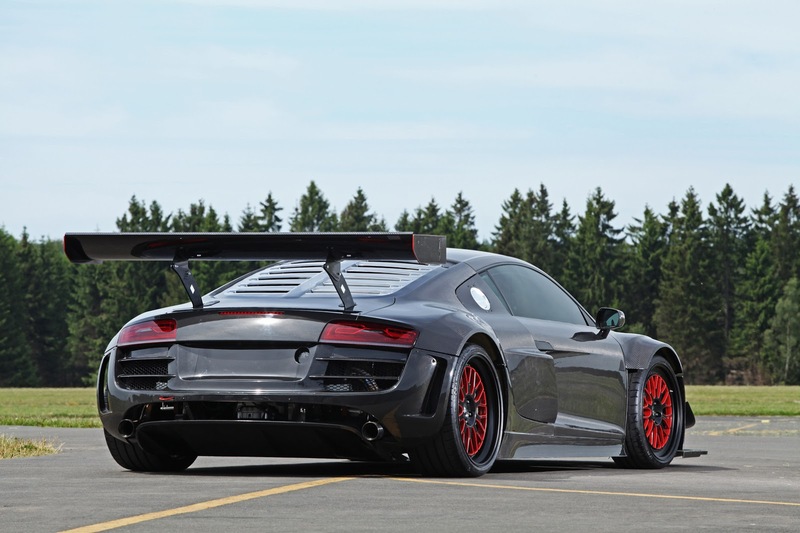 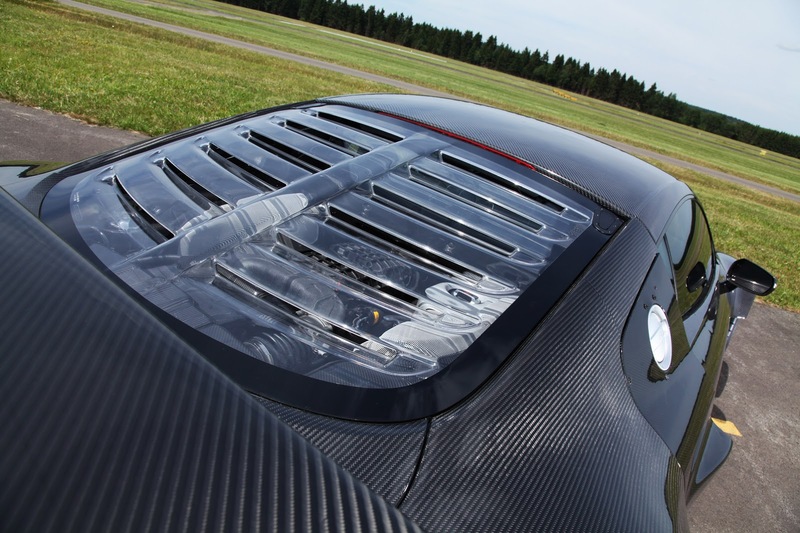 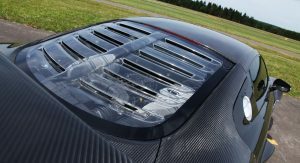 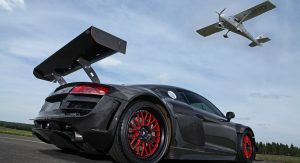 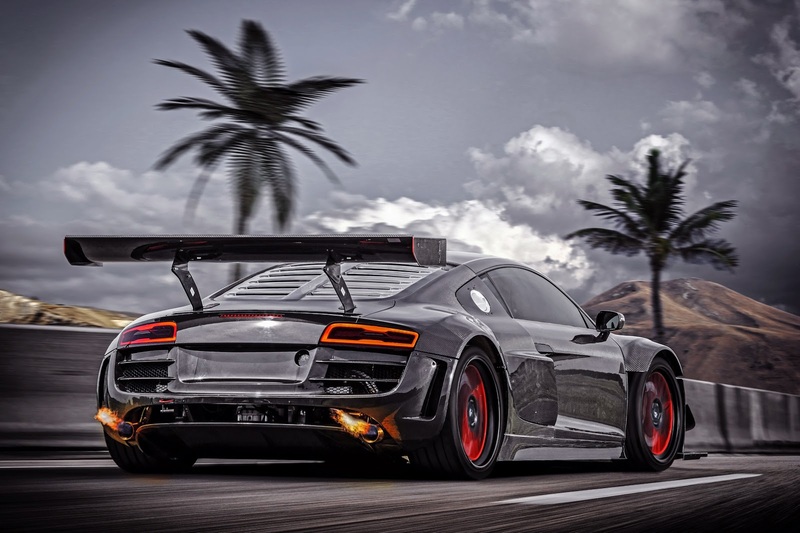 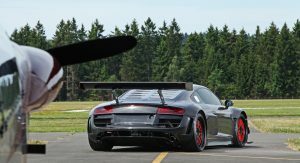 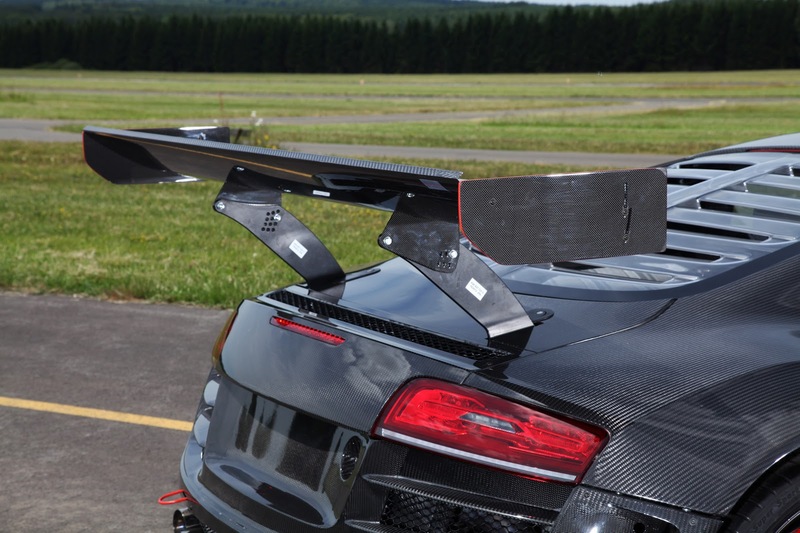 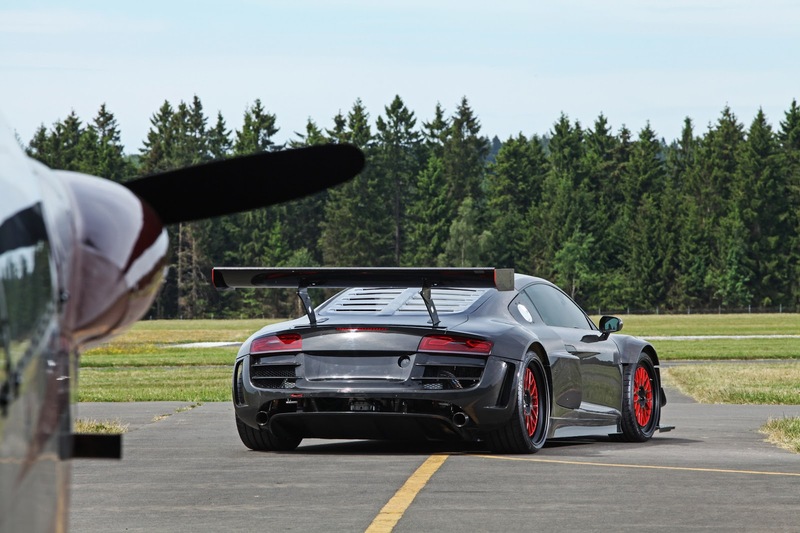 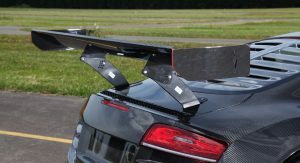 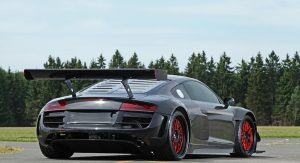 You don’t have to be a diehard fan of the R8 to see what Potter & Rich did to the exterior that gets the same lightweight carbonfiber body as the R8 LMS Ultra, complete with a gigantic rear wing. 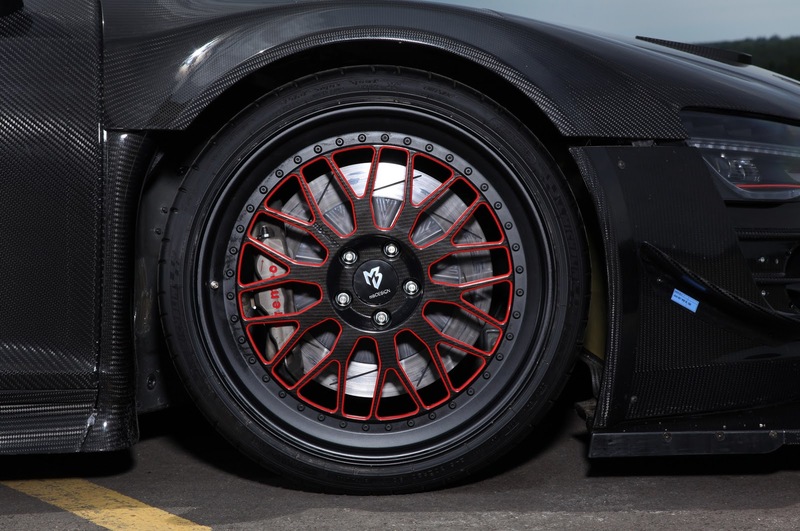 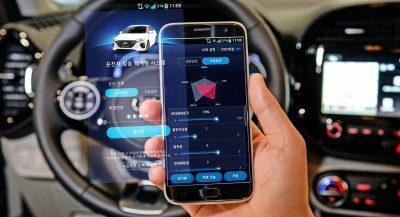 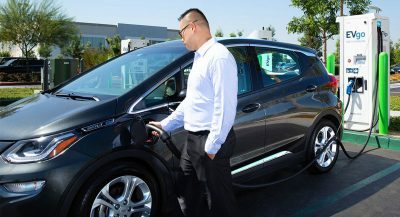 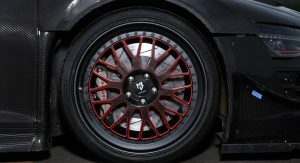 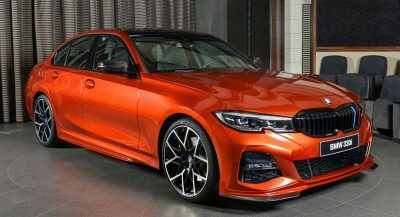 The car now rides on three-part BBS motorsport rims measuring 18 inches on both sides in 305/30 tires front and 335/20 at the back for the track, or 20-inch rims in 245/30 rubber front and 21-inch alloys in 305/25 tires back for everyday use. 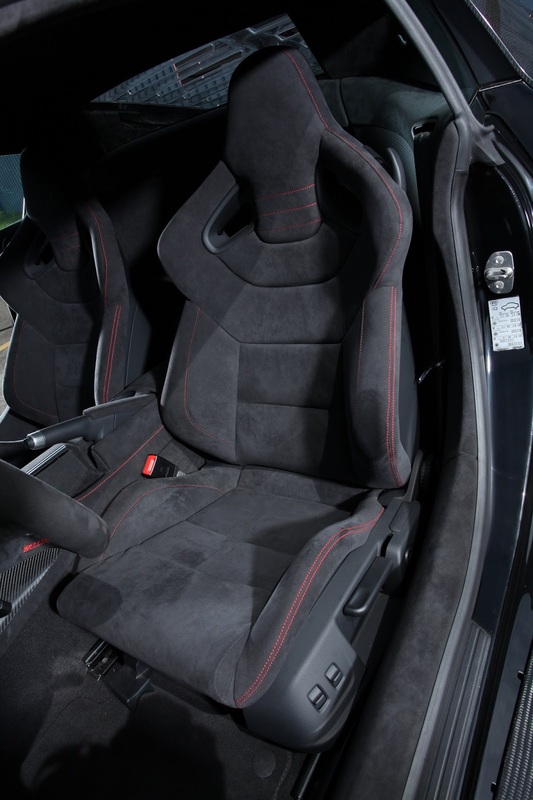 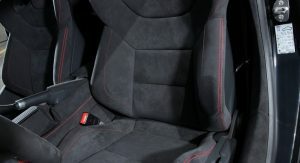 Inside, the Germans dressed the entire interior in Alcantara with contrasting seams, while also extending the speedometer reading to 430km/h or 270mph. 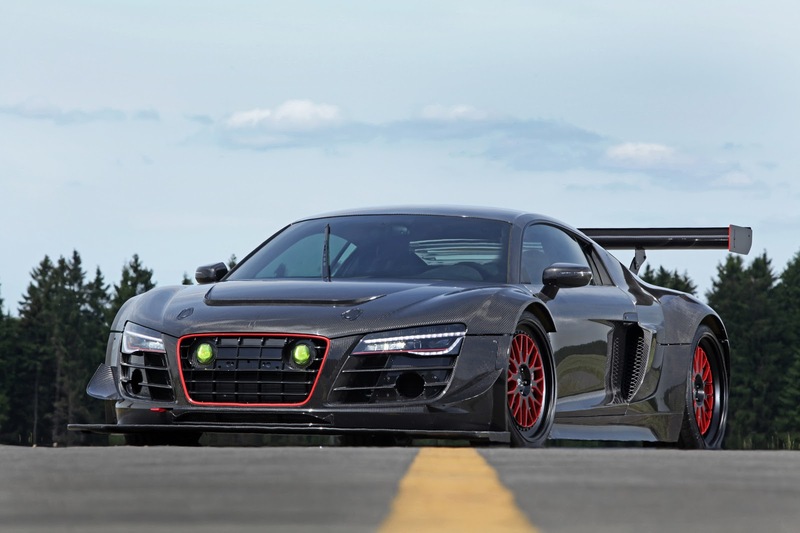 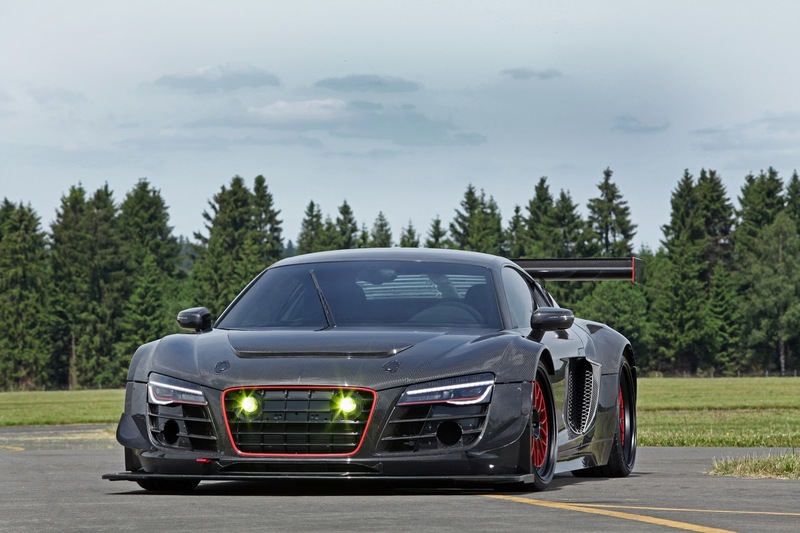 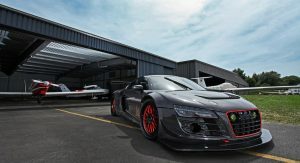 And no, Potter & Rich did not disclose what it will cost you to turn your R8 V10 Plus into this street legal beast.